George Moore manages the strategic direction of TARGUS Information Corporation (TARGUSinfo) and its subsidiaries, Amacai and Localeze. He is currently involved in a number of business and civic activities. 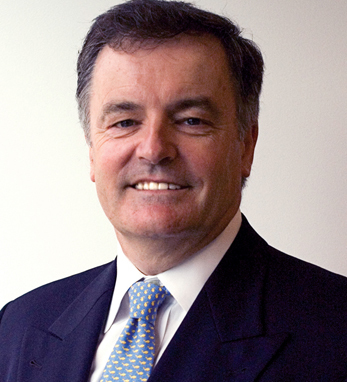 He is Chairman of Erne Heritage Holdings and a member of the Board of Directors of the New Ireland Fund (NYSE IRL). In 2007, Her Majesty, The Queen, recognized George for his contribution to the Northern Ireland economy and for his international work on behalf of all of Ireland with an Honorary CBE – Commander of the Most Excellent Order of the British Empire. George holds both economics and MBSc degrees from the University College Dublin, and an MBA and DBA from George Washington University. He was awarded an Honorary Doctorate in Sciences by the University of Ulster in 2006. George lives in Washington DC with his wife, Angela, who is originally from Northern Ireland. They have three children.